Learning is a process of active engagement with experience. It is what people do when they want to make sense of the world. Alda Terracciano’s video-sound installation Streets of… 7 cities in 7 minutes, inspired the development of a programme of creative learning aimed at young people in schools to increase their knowledge on intercultural matters, learn new skills in filmmaking and oral history, and explore the power of intergenerational dialogues. Through documentary practice, art workshops, experts’ talks, and research in local libraries and archives, pupils are stimulated to re-imagine their neighbourhood and create ‘virtual-sensory journeys’ exploring their local multi-cultural heritage through interviews with members of the communities. With the support of the artist they investigate ways in which migration journeys have changed local ways of life, focusing on the history and culture of a chosen community from the seven explored in her artwork, and learning about their history and everyday life, language, food, religion, and art forms. 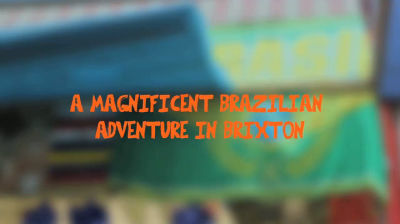 A pilot project Streets of Brixton was delivered with Holy Trinity Primary School in Lambeth, South London, to explore the living heritage of Brazilian people in Lambeth, with the support of the Heritage Lottery Fund.